Graduates: Bullying Exists at Any Age. Here’s How to Stand Up for Yourself in the Workplace. 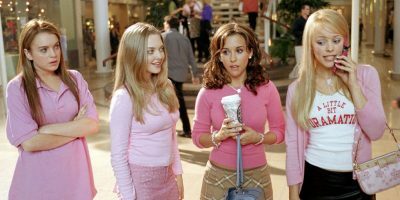 It’s time to put an end to the entire “Mean Girls” phenomenon that is still prevalent beyond high school – the kind that exists in the workplace. Don’t think bullying exists outside of high school or college? Well, I have encountered workplace bullying on a few occasions. Once, back in my twenties, when I worked for a non-profit, and once in recent years and surprisingly, it was when I had female bosses. What does it look like? Well, at first, a group of women co-workers pretend to be nice to you. They may be cordial at first, heck, they may even have lunch with you and pretend to be interested in getting to know you! Then they go back to having lunch without you, with their little clique. They ignore you. When they do acknowledge you, it’s usually in some passive aggressive manner, with a snarky remark. You silently question the comment, wondering if they are being sarcastic. Over time, it turns into you being overlooked for opportunities and then bam! You get hit with some untrue feedback on your performance evaluation. When this bullying messes with your livelihood, it gets real. Are these women trying to push you out? The short answer is Yes. However, they will do everything in their power to make it appear as though it’s your decision to leave. Personally, I have done all of the above and what I have garnered from these experiences is that while you can’t change what other people do, say, or think, direct communication works best. It also helps to be respectful and cordial. Perhaps this person or group is intimidated or threatened and thus is defensive? You, of course, don’t want to come out of the gate and tell them they’re being defensive, so speak confidently and directly, asserting just the facts. Try to keep your emotions under control. You may even want to keep a log to cover your behind, too! It may help to talk to other women in the company who are supportive of your career and are not in the clique. They may have suggestions on how to navigate the situation. Ultimately, you were hired because you have the appropriate skill set, and someone else in the organization also believes in you, so if need be, speak up to that person and see if your perspective is realistic and if you are considering all options. Tread lightly; yet keep in mind you’re awesome and deserve to be treated with respect just like any other employee in the organization. If you see another female being bullied, lend an ear or if you can, intercede without fear of retaliation, then by all means, please do so! This is how we start the revolution of respect for other females. Note of thanks: Shout out to the amazing and strong women I am blessed to have as my colleagues, thank you for empowering your fellow females in our organization. You know who you are and you inspire us every day! For more career tips, subscribe to Passing Insights, the Surgent CPA Review blog. Shirley Claude is a Business Development Director for Surgent CPA Review. Shirley is a graduate of the University of Central Florida in Orlando, and holds a Master of Arts in Organizational Management from the University of Phoenix. Before joining Surgent, Shirley worked in Business Development for an education technology company overseeing East Coast growth.